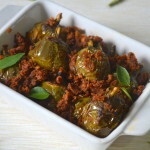 Kovakkai Curry is a simple yet flavourful curry with freshly ground spices, that goes well with rice and even roti. 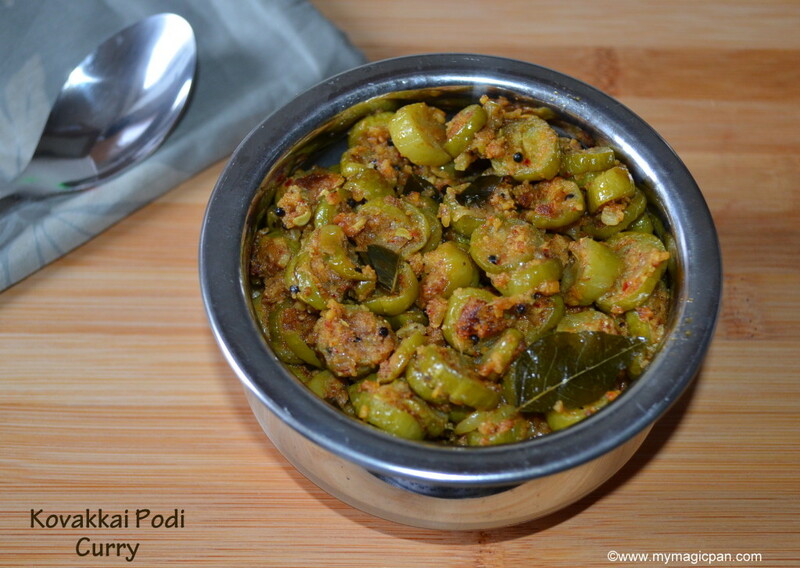 The Podi/Powder does the magic in this curry. 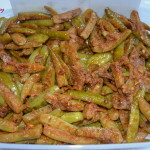 If u are in a hurry and do not want to grind, here is another version of Kovakkai Fry that I had posted earlier. 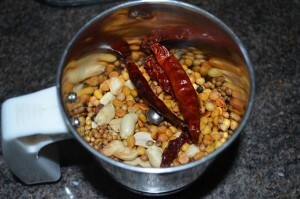 This is perfect to roll it in rotis or with rice, rasam or sambar. 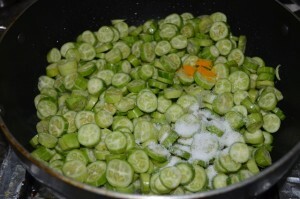 Wash and chop the kovakkai and keep it ready.Likewise chop the onions and garlic. Heat a pan and dry roast the ingredients mentioned under “to dry roast” until slightly brown. Keep it aside to cool. Once cooled grind it into a coarse powder. 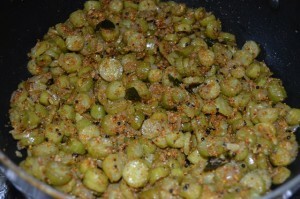 Heat a pan with oil and temper with mustard and curry leaves. 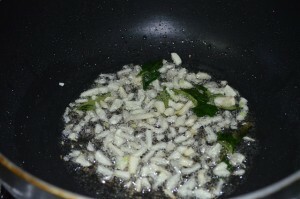 Add finely chopped garlic and saute till raw smell goes off. 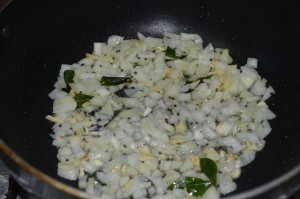 Add the chopped onions and saute until transparent. Now add the chopped tindora, required salt and turmeric powder. Mix well and cook covered for 10 mins or until soft. 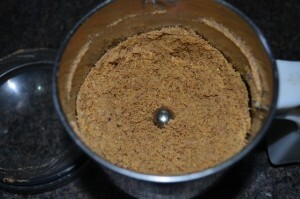 Once the kovakkai gets cooked, add the ground powder and mix. 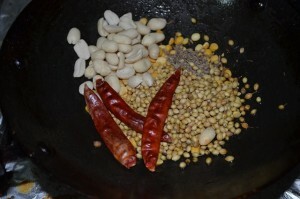 Saute for additional 2 – 3 mins in medium flame and switch off. 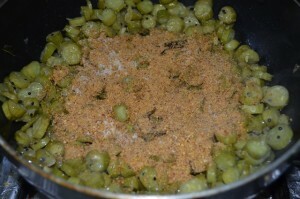 Kovakkai Podi Curry / Kovakkai Curry is ready. U can skip the onion and garlic if u wish, it does add a unique flavour though. U can chop the kovakkai length wise too. 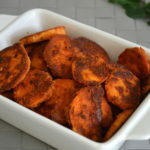 While dry roasting, do not burn the spices. Else it will spoil the whole taste. 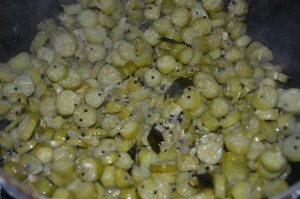 U can add a tbsp of grated coconut to the spices too and then make the podi. 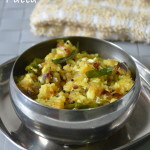 Love this curry, but I never add garlic and onions, should try out the next time..
kovakkai podi curry looks delicious.